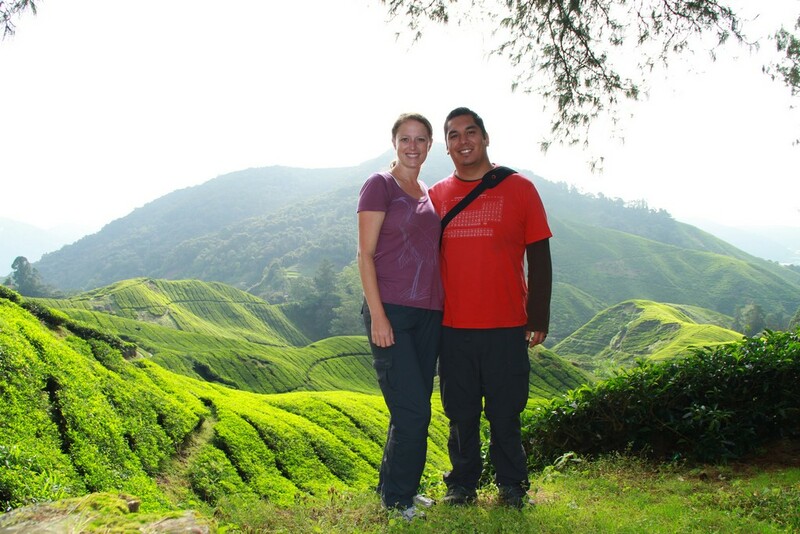 The Cameron Highlands are only about 3 hours north of Kuala Lumpur. However, as usual, 3 hours turned into 5, the AC never turned off so we froze, and our bus driver hit the toll booth so we had to make a detour to fix the bus. Thank goodness the rain had stopped by the time we arrived. We stepped off the bus and less than two seconds later, people are handing us hostel and hotel information. We decide on a place, get there, put our bags in the room, and the manager comes in and says,”oh, you can only have the room tonight, and it’s RM90.”She had only two minutes before said three nights at RM80. But wait, there’s more!